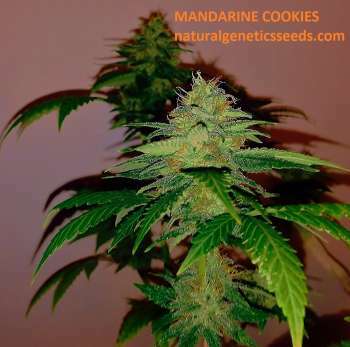 Here you can find a strain description about Mandarine Cookies and also some user-based reviews and infos directly from the SeedFinder (if available). You can also find the offers and auctions here if Mandarine Cookies cannabis seeds are on stock at MyCannapot right now. Mandarine Cookies is a cross between Tangerine Power x GSC Thin Mint (from cali connection) then backcrossed to mother line. The plants are homogeneus and the mandarine taste and aroma it is very deep, a great pleasure. Fully resin covered buds and high yeld will make any grower very very happy. Buy Mandarine Cookies now at MyCannapot! There are no actual running auctions for Mandarine Cookies right now.